Things have slowed down for me this semester. Not teaching four preps helps (now I only have three). Because of this, I have been able to dig in and get a firmer grip on my classes. Improving how I assess my students has been a goal of mine for a while. 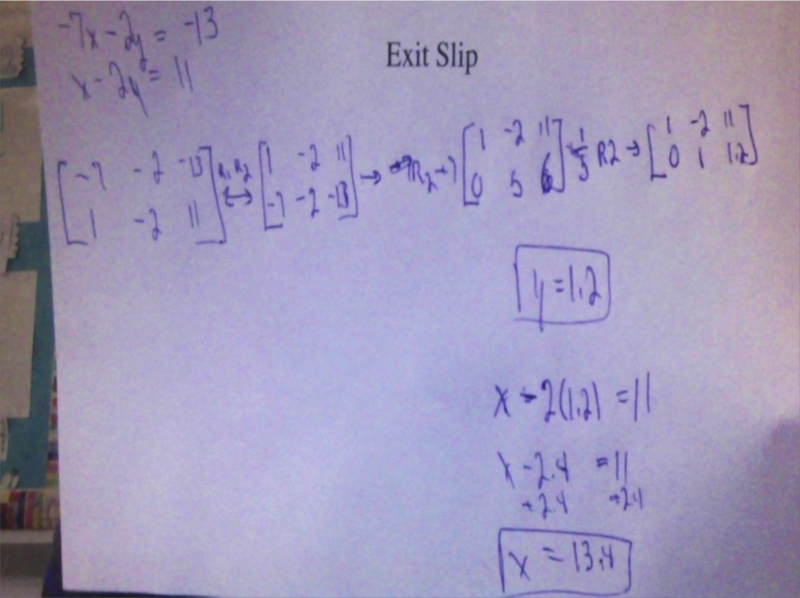 I have finally gotten around to using exit slips on a consistent basis. I have always given a formative assessment at the beginning of class, but not usually at the end. For a long time, exit slips were papers that would pile up on my desk. Subconsciously, I didn’t see the value in assessing my students’ understanding at the end of the class. Somewhere, deep down, I knew they were beneficial, I just didn’t embrace it. I wonder which planet I was teaching on. Now, I must formatively assess at the end of my class. Not because an administrator told me so or that it’s a district-wide policy, but because I need to know what my students learned (or didn’t learn) each day. I must mention John Scammell and his awesome presentation on formative assessment during TMC14. He caused me to reflect on my assessment practices in a deep way. I’ve now fully realized that exit slips immediately affect my approach the following day and every other day. In other words, I now see value in exit slips. Well. I say all that to share how I now use exit slips. Like most teachers, they usually only take a few minutes for students to complete. After class, I sit at my desk and go through the slips, categorizing students’ work – sorting them into various piles. I don’t actually use them for a grade so I’m not worried about recording scores. My only focus is student understanding. The kids are pretty receptive to seeing their mistakes. And by using the exit slips to direct their learning and analyze their work, my students have never complained about doing the exit slips. They just do them now because they are worthwhile. Sounds like me. 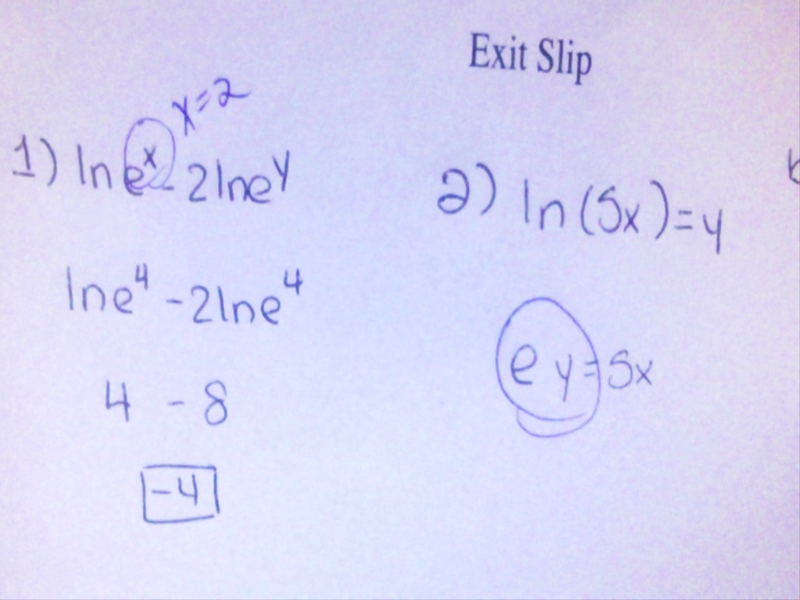 This entry was posted in assessment, strategy and tagged exit slip, formative assessment by brian. Bookmark the permalink.